Note- This is for REGIS cosplay. 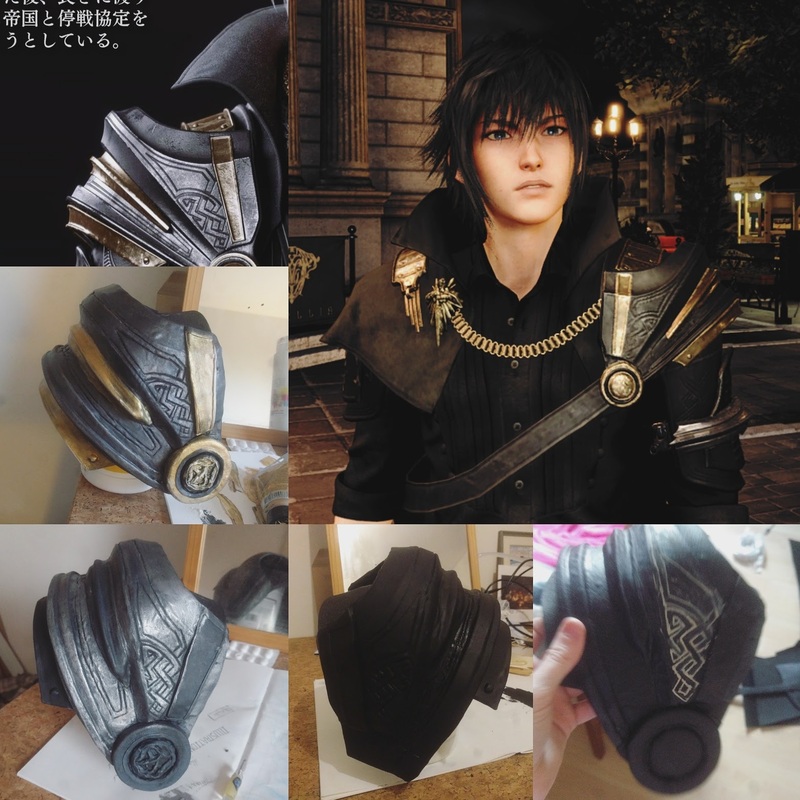 Noct's is on the opposite side!! 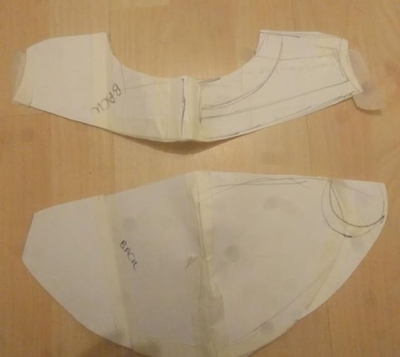 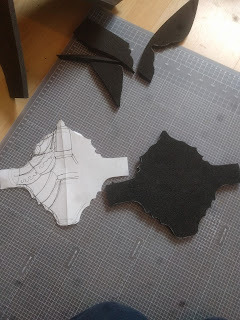 To start I broke down the pauldron into two basic shapes and created paper patterns as above. I cut them in plastazote foam. 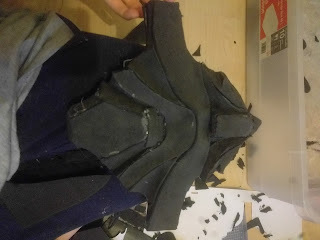 The next stage is adding details with different widths of foam to create the details. 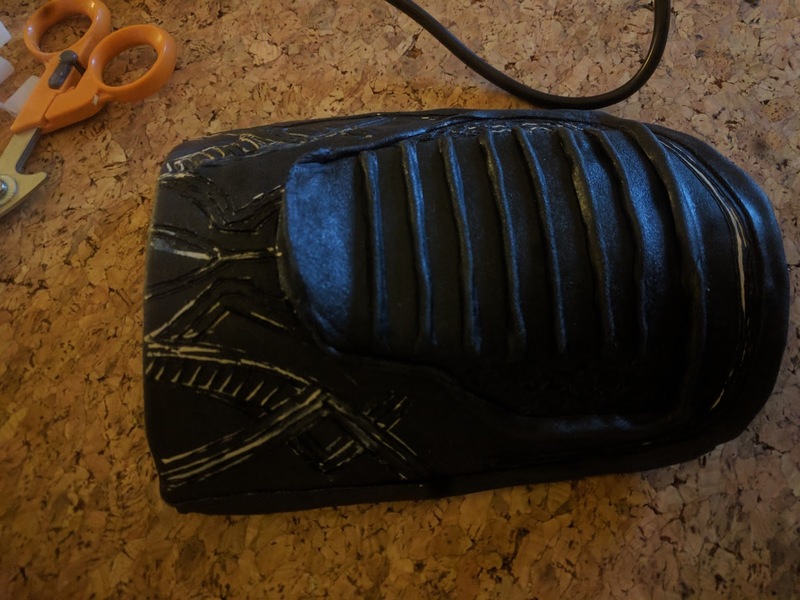 I carved the edges to match the references best I can. 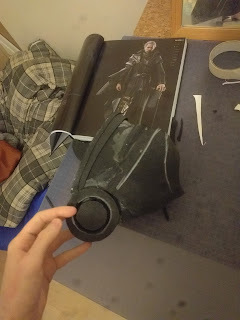 Hot glue works fine for this as it will all be covered by the worbla. 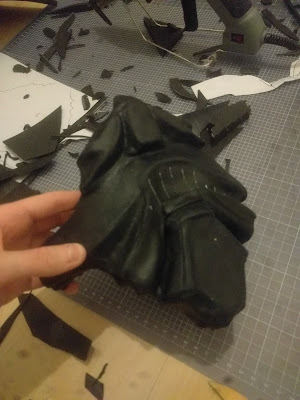 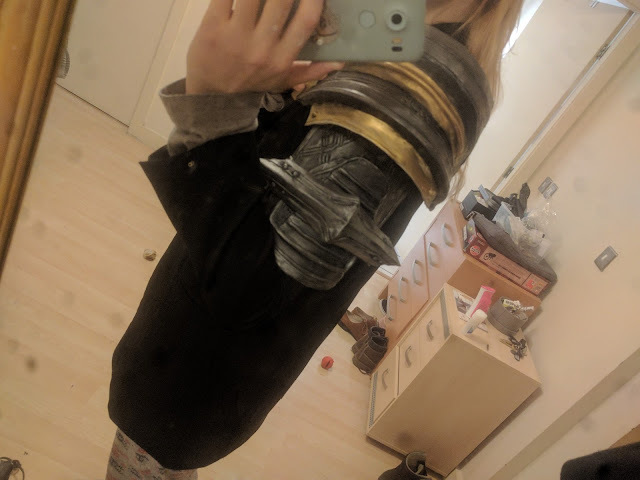 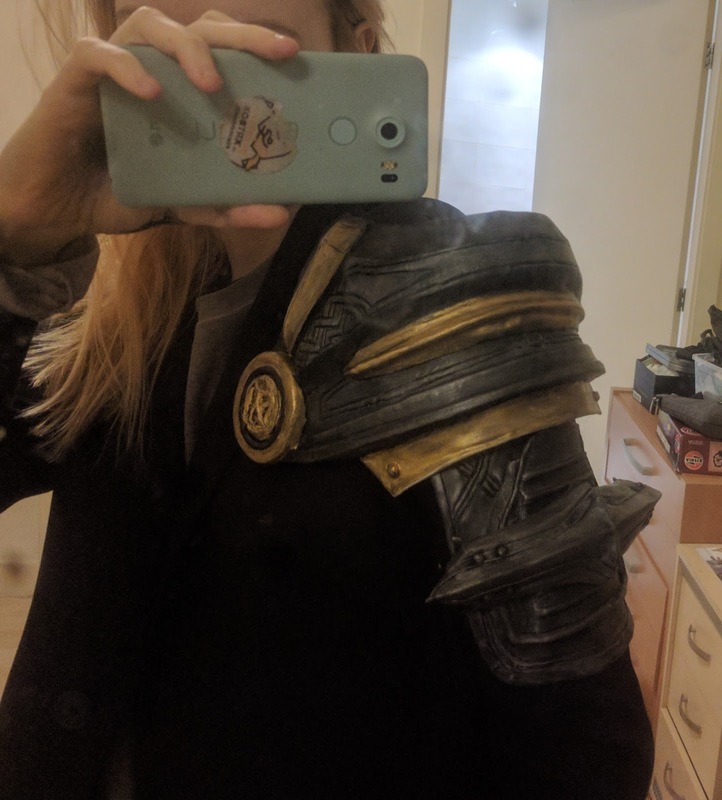 Worbla isn't necessary to make this, you could leave it as is or coated in a resin but I found worbla less messy and mouldable enough to pick up all the details while also hiding mistakes! 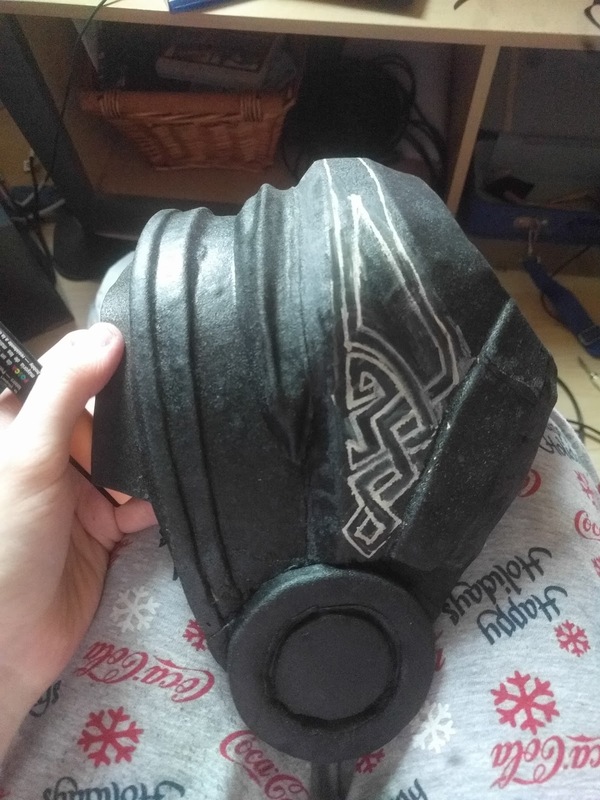 Once happy with the shape I added worbla on top and drew out the pattern on the sides. I used a soldering iron and clay tools to melt and indent the pattern into the worbla. 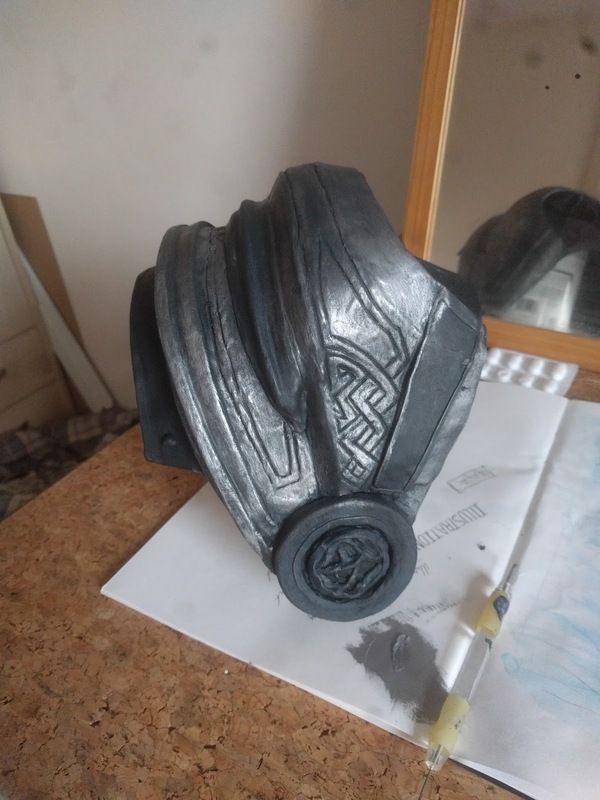 next is painting, in these photo's it is still unfinished but you get the idea! I always paint a base coat and then rub black paint to weather it a little. 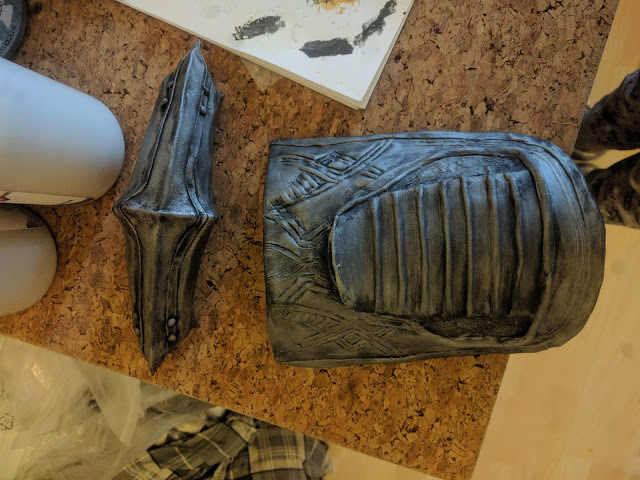 Regis's looks pretty squeaky clean but I find weathering makes it look more realistic too. 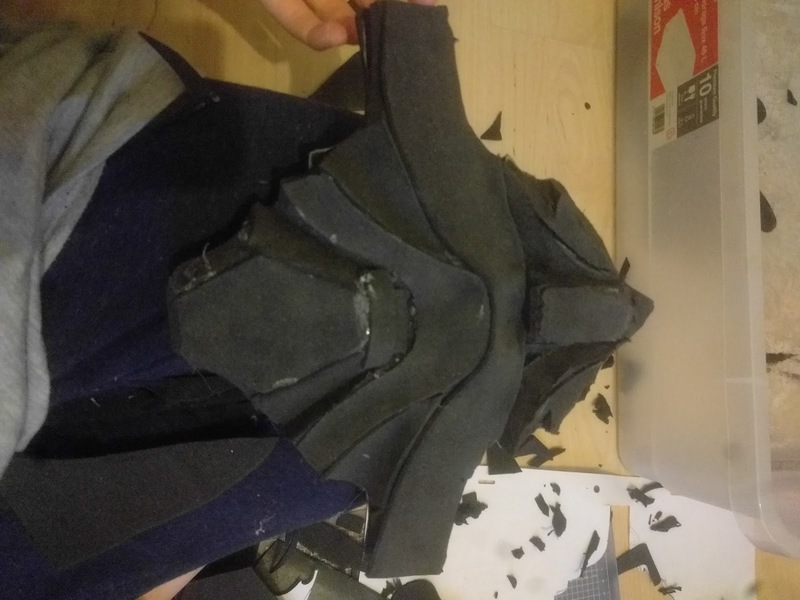 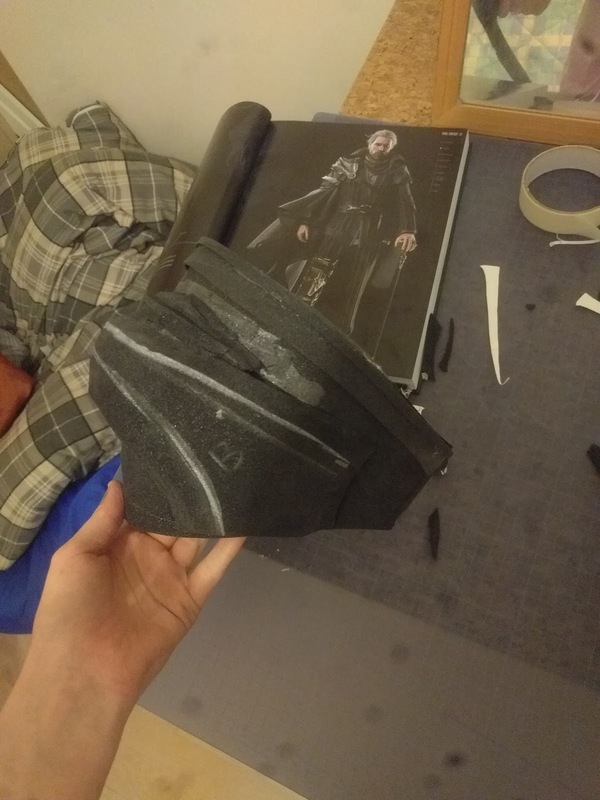 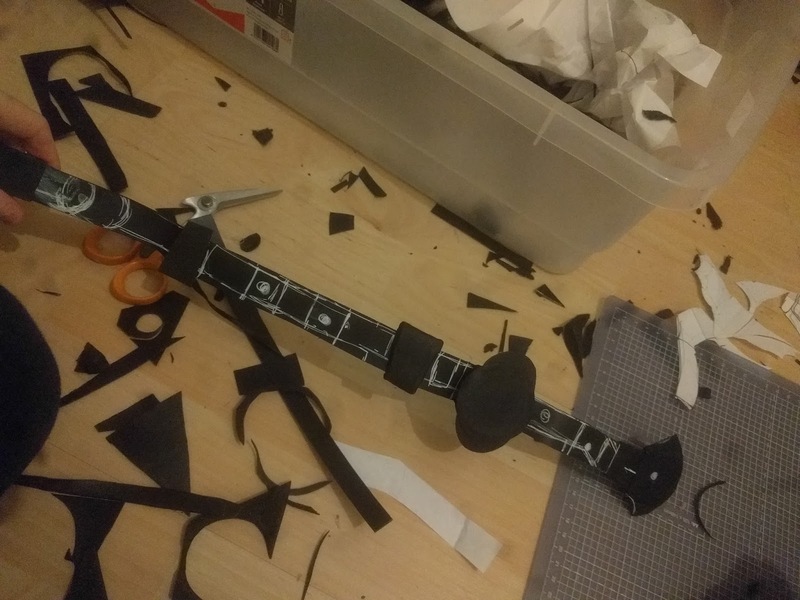 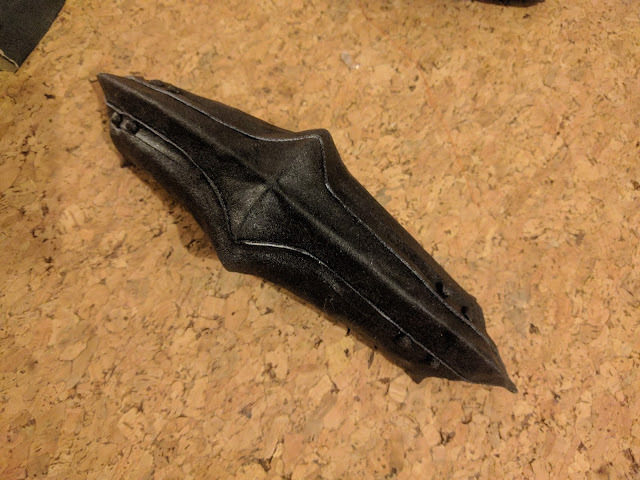 The lower section is made the same way by layering shapes of foam until it looks right and then adding worbla. 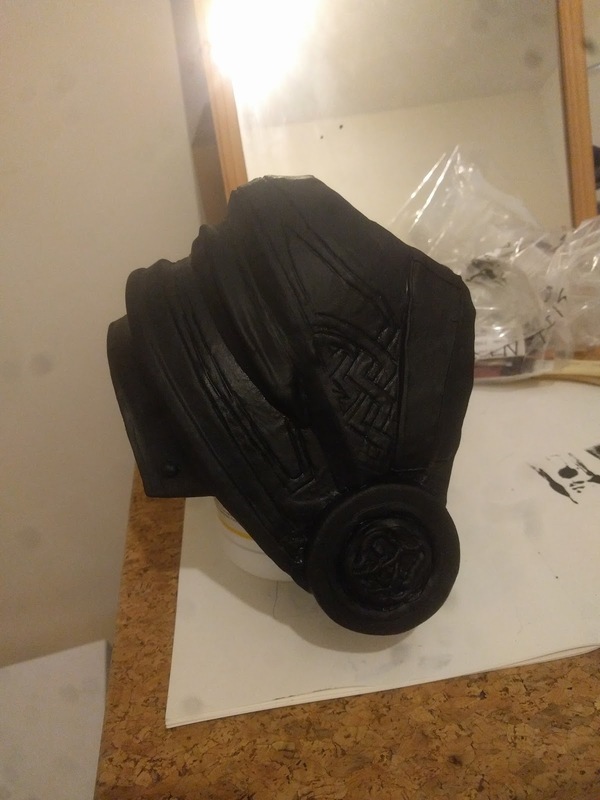 I also roll worbla and use it to make the ridges and bolts on this piece. 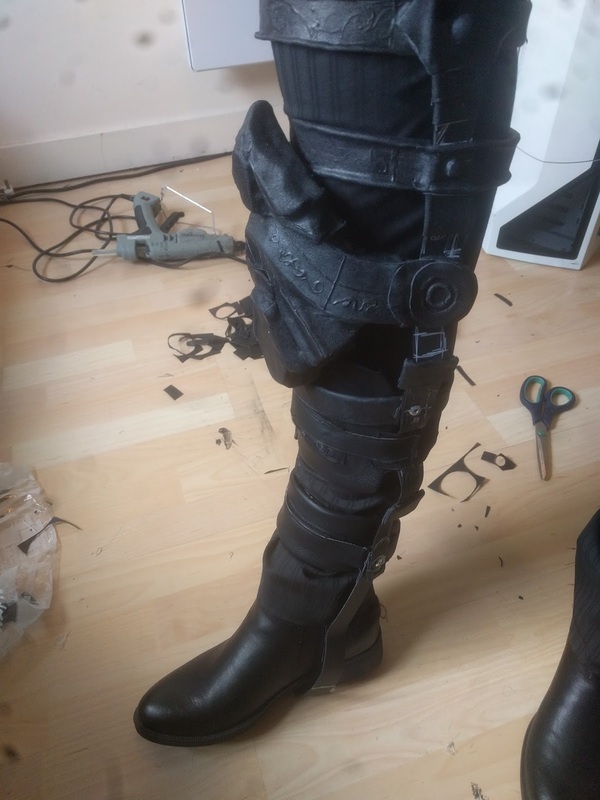 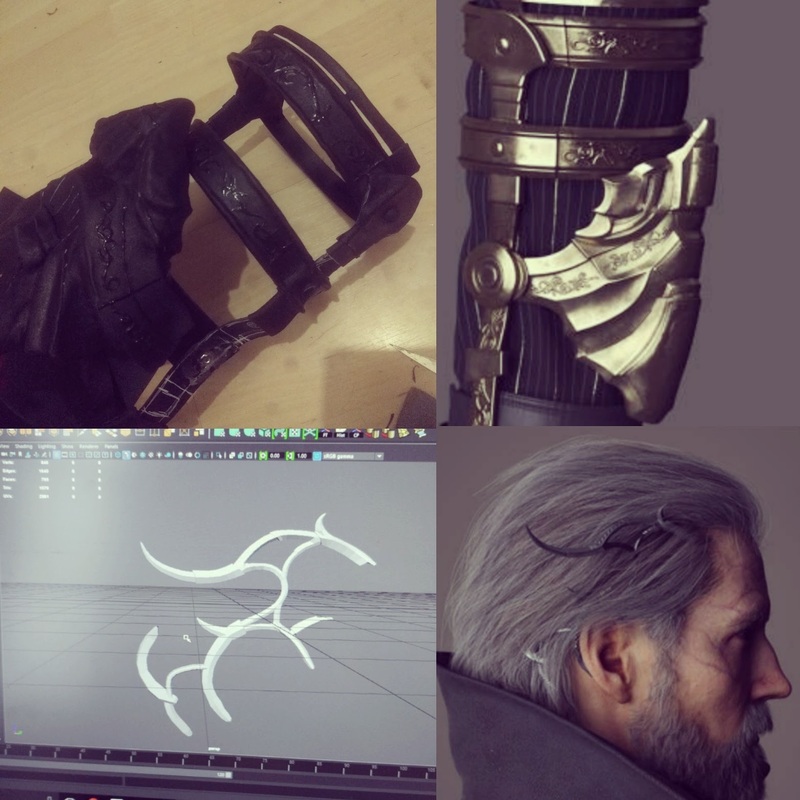 I'm going to throw in the rest of my Regis cosplay wips here since him and Noct share the same Knee cover/brace in part so it might be useful! 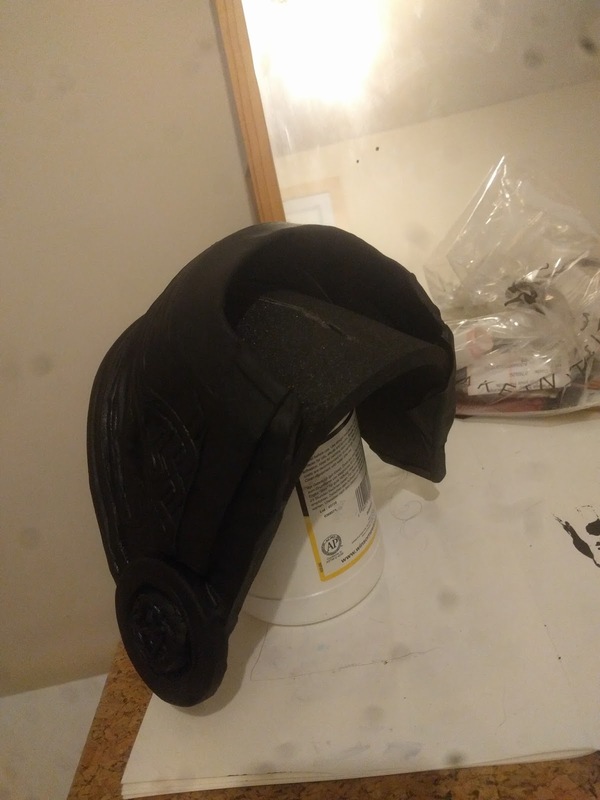 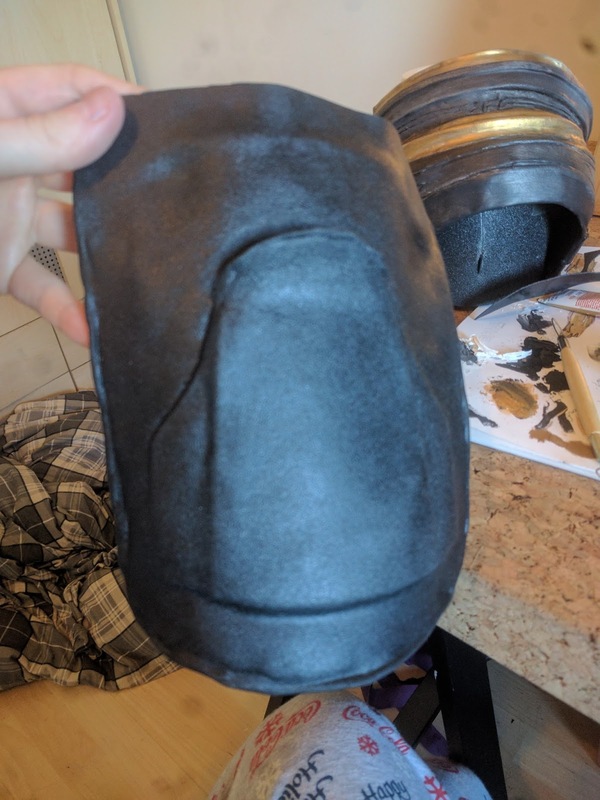 The process for the Knee cap cover is exactly the same as the Pauldron though I think these photos show the stages a little better. Then I cut more strips and riveted them round to the side straps. 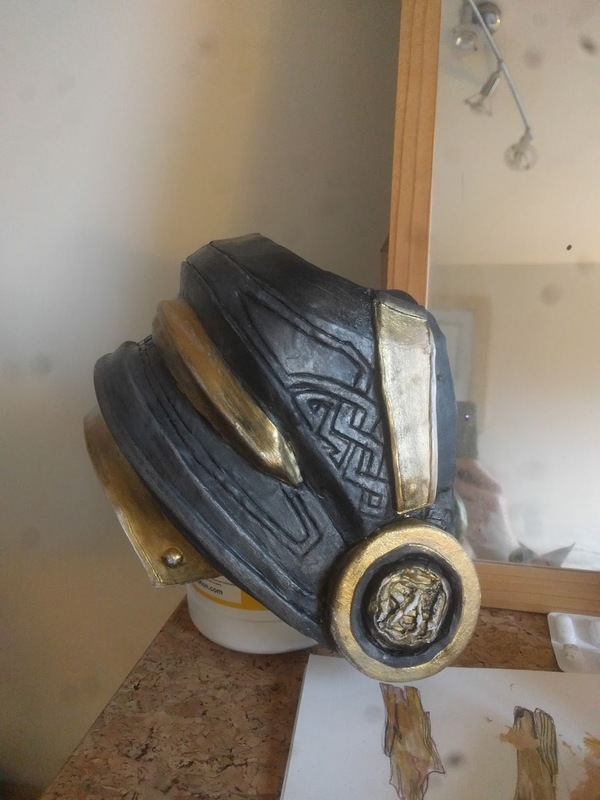 I covered the whole thing in worbla adding in finer details too. 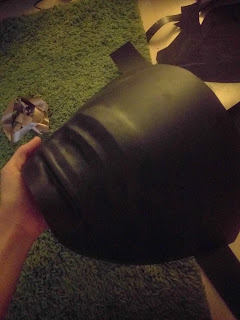 Then same as before, gesso a few times and then paint! 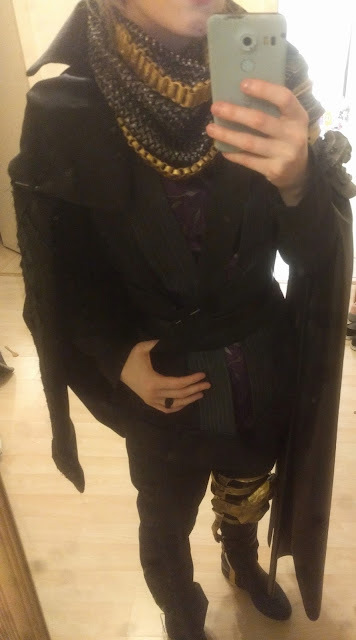 Here's the latest WIP for the whole outfit! Hi there, was wondering if you had paper plans available for Download as only starting out and love the look of yours, is that at all possible? 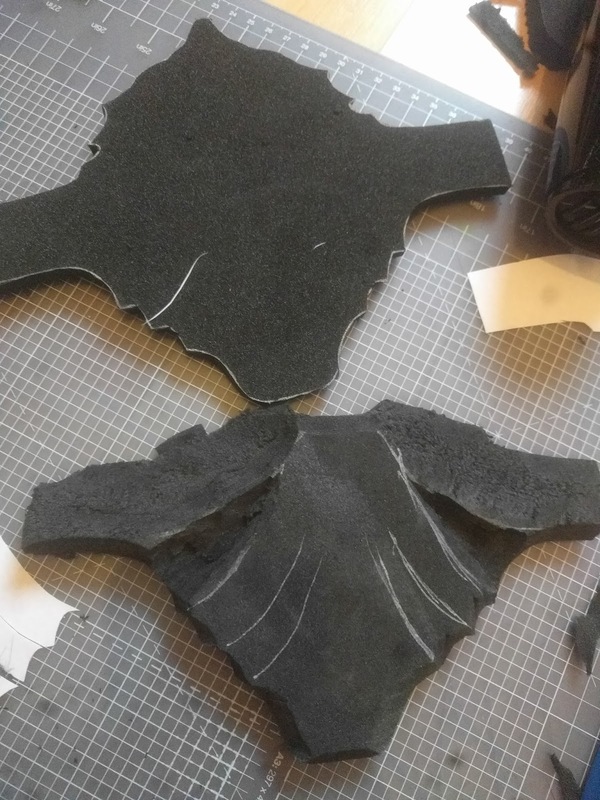 What did you make the scarf from? 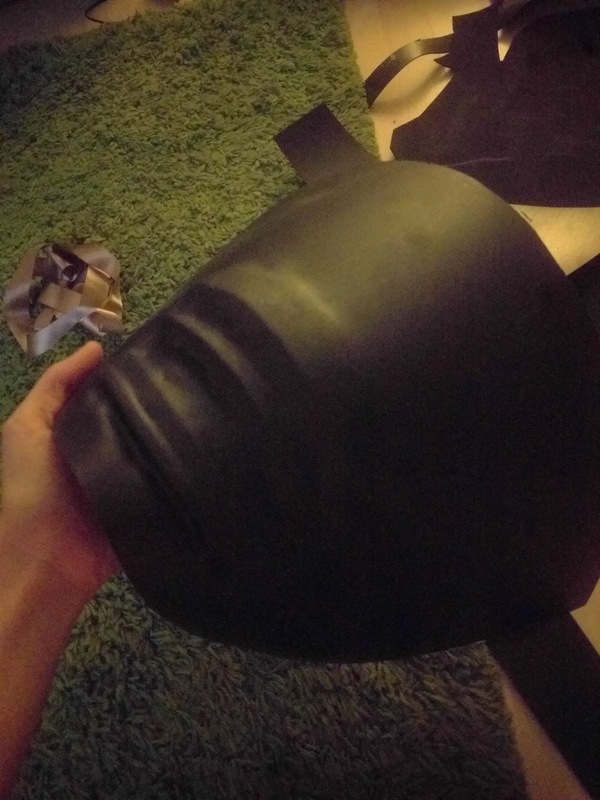 uhhh its some weird material I found in the fabric shop (in the trimmings section) it was 2" thick and stretchy with almost a rubbery texture, I sewed it together to make it thicker until it looked right and painted it. 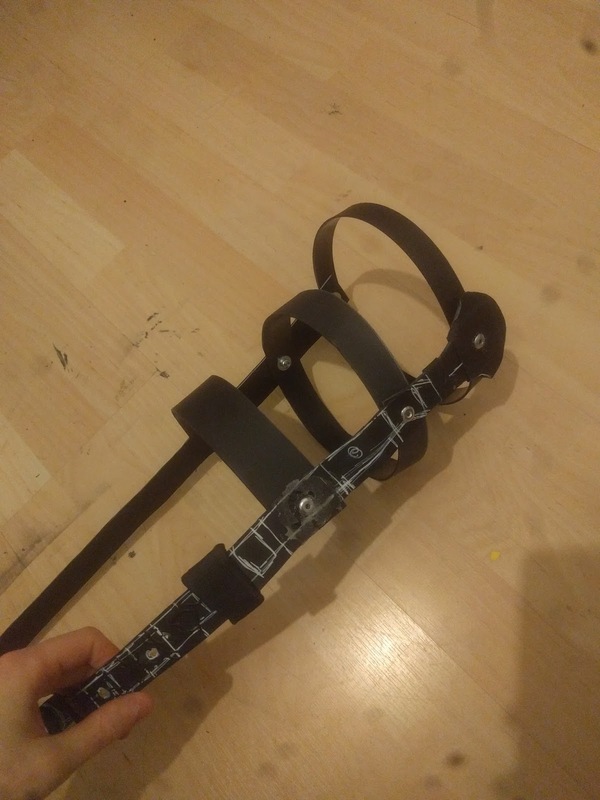 I have NO idea what its called though sorry!